Chancellor Jeffrey P. Gold will confer the degrees to candidates from all colleges, and each candidate's name will be read as they walk across the stage and receive their diploma cover, May 3. Applicants, remember to place your cap and gown order immediately after applying for your degree! 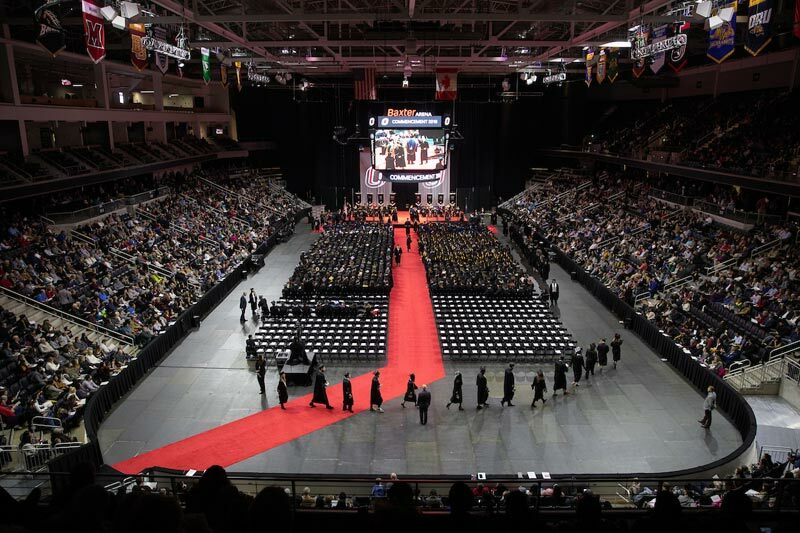 Please keep in mind that Spring Commencement is our largest ceremony. Be aware of which ceremony your college will be participating in and the time details below.